Tiger waterfall is situated deep in the pine forests surrounding Dalat. Only 15km east of the city, these falls are easily reached but feel far more remote than they really are. 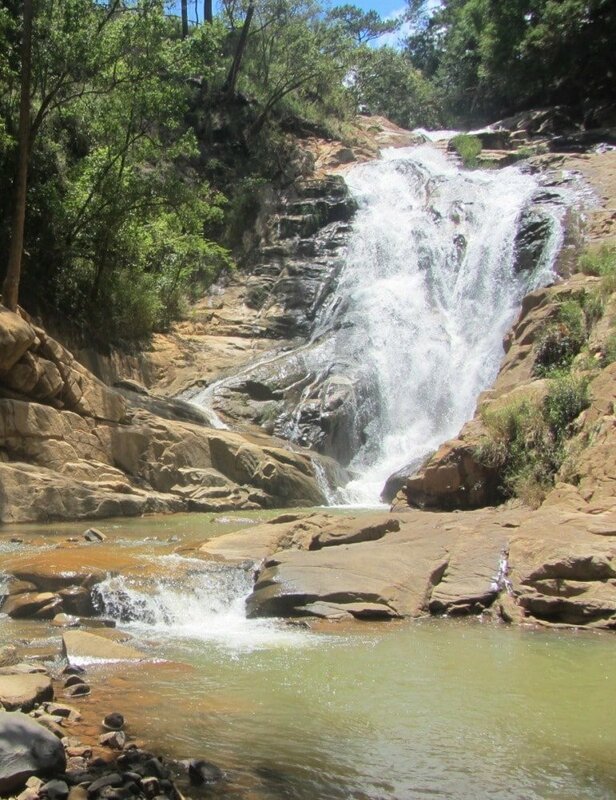 Like many of the waterfalls in this list, Tiger falls was developed as a tourist site some time ago, but appears to have failed to attract many visitors and is now largely deserted. There are benches, picnic huts, toilets, and even a restaurant here, but none of them look as though they see the crowds of tourists that they were presumably built to cater for. Despite its neglect, there’s still a skeleton staff here to collect the 10,000VNĐ ($0.50) admission fee before taking the steep steps down to the base of the waterfall. There are several natural platforms of smooth rock in the river on which to sit and gaze up at the falls. The cascade of white water is relatively gentle here because the water doesn’t drop vertically and crash on the rocks below; instead, there’s a diagonal slope over which the water slides and flows, finding its way to the base via several rivulets, including a distinctive lateral spur to the left, which gives Tiger falls a playful character. Because of its gentle flow and quiet setting, Tiger falls is the most peaceful of the waterfalls in this list: the kind of place where a romantic poet might come to compose a sonnet, while sitting in the dappled sunlight on a rock, dangling his feet in the cool water. 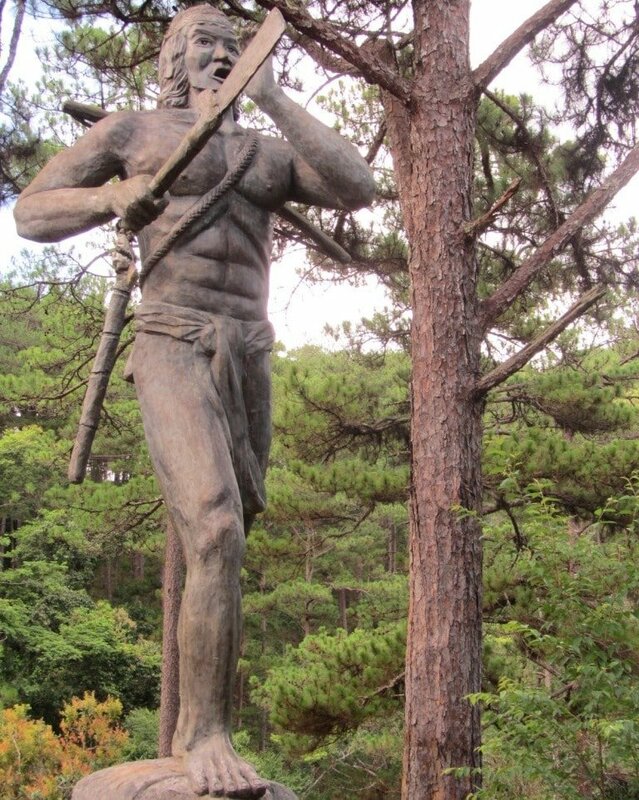 This entry was posted in ALL, Central Highlands, Dalat, DESTINATIONS, Waterfalls and tagged central highlands, Dalat, guide, thác hàng cọp, tiger, travel, Vietnam, waterfall. Bookmark the permalink. The waterfall is closed due to renovation (of something) the road is, as mentioned above, very bad and when you finally arrive at the parking area there is a sign saying it’s closed. Thanks for the update. That’s a shame. Please update the article and give the people a note that the way to the waterfall is very bad and dangerous (after leaving highway 20). Specially the part of the way after the old entrance gate to the waterfall is very bad! Thanks for the update. I’m sure other readers will benefit from that information.